LEBANG Co., Limited. founded in 2012, with headquarter in Huizhou City, is a national high and new technology enterprise which integrates lithium ion battery module research, production and marketing together. 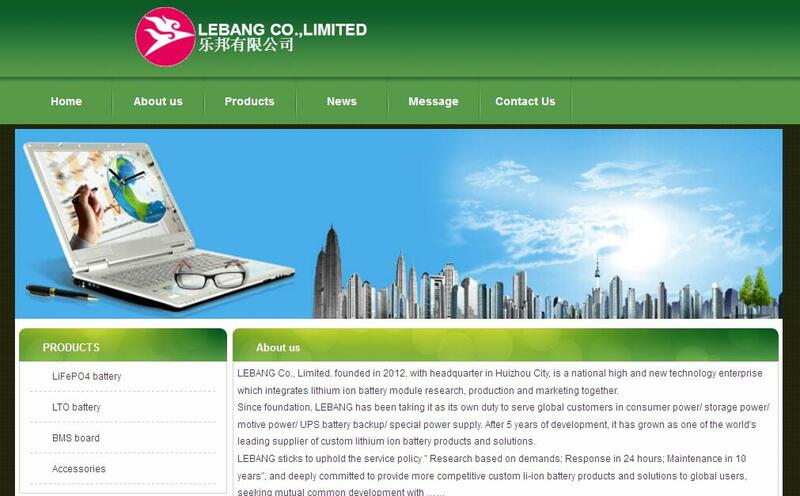 Since foundation, LEBANG has been taking it as its own duty to serve global customers in consumer power/ storage power/ motive power/ UPS battery backup/ special power supply. After 5 years of development, it has grown as one of the world's leading supplier of custom lithium ion battery products and solutions.